The new HDPE plant is located at M&uuml;nchsmünster Industriepark in Bavaria, Germany. The multimodal HDPE is used for caps, pipes and packaging. The hot and cold water pipes developed from the Hostalen process. 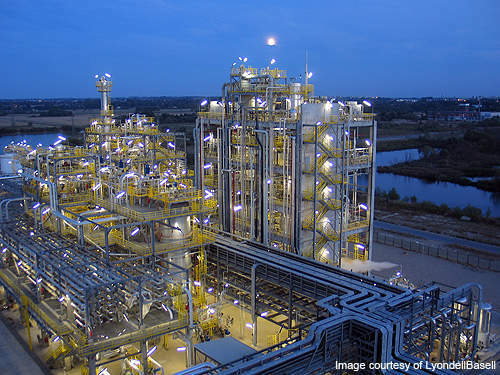 Polyolefins giant LyondellBasell started-up a new multimodal high-density polyethylene (HDPE) plant in Münchsmünster, Germany in August 2010. The plant is located at Münchsmünster Industriepark in Bavaria, about 80km north of Munich. The plant uses the proprietary Hostalen Advanced Cascade Process (ACP) technology for HDPE production. The plant has a production capacity of 320kt HDPE annually. 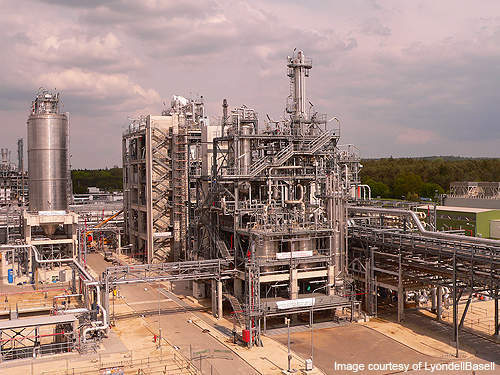 The Münchsmünster plant is expected to increase the flexibility of LyondellBasell in supplying the advanced polymer grades. It provides full-time employment to 65 people. The production will be exported to the Middle East and Europe. Other plants that deploy the Hostalen ACP technology include joint venture HDPE facilities in Saudi Arabia (400kt/yr), Poland (320kt/yr) and two sites in Wesseling and Frankfurt, Germany. The Hostalen ACP technology was developed from the Hostalen bi-modal process technology with an increase in process reliability. It uses the single Zielger family catalysts for simpler operations. The plant consists of three stirred polymerisation reactors in series producing multi-modal HDPE resins. The reactors help in proper tuning of the polymer grades for use in different applications. The low-pressure slurry cascade process allows customisation of molecular weight distribution and composition of the final products. Each reactor also allows adjustment of polymerisation conditions independently. Resins such as Hostalen CRP 100 RESIST CR black can be used for pressure pipes for gas, drinking and wastewater. Compounding technologies and process catalysts are used to increase the torque and materials performance based on these applications. 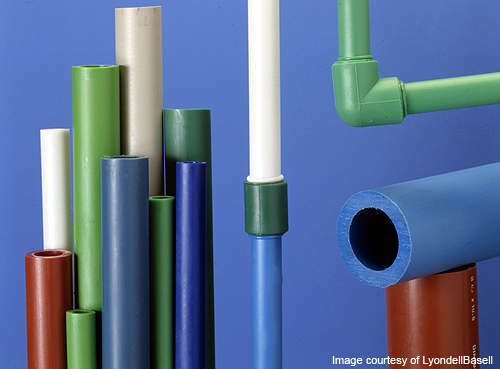 The HDPE produced using Hostalen technology increases the performance of polyethylene when compared to standard bi-modal HDPE. The resins produced by the technology will have higher toughness and environmental stress crack resistance (ESCR), superior impact resistance, increased stiffness balance and good processing and organoleptics qualities. The ACP technology is also claimed to have high monomer conversion rates and quick grade changes, and offers plant reliability. It provides cost benefits through energy savings, improvements in processing and down-gauging. 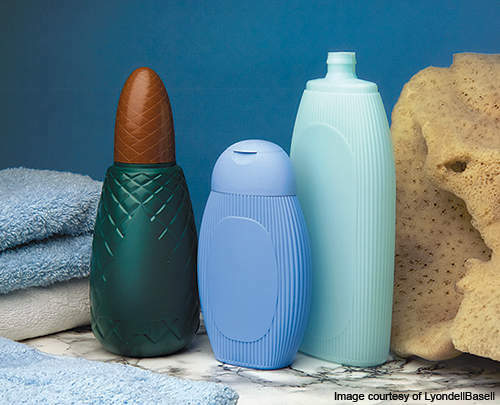 The multi-modal HDPE polymer resins are used for producing caps, pipes, thin-wall packaging, large blow-mouldings, packaging textiles and closures. The industrial trial analysis is claimed to have shown that the total cycle time savings of the process reduce the melting point by about 20°C with no mould filling problems. Weight of the closures can also be reduced using the ACP HDPE resins along with the development of complex closure designs. In December 2006, LyondellBasell acquired the cracker at the German petrochemical site from Ruhr Oel GmbH (ROG), a joint venture between PdVSA and Deutsche BP. In addition to the new HDPE plant, the 38-ha site has a steam cracker unit that produces ethylene and propylene. The new Münchsmünster HDPE project replaces the former polyethylene (PE) plant at the site, which was shut down after several years of operation. The new plant has a larger production capacity. It produces special grades of polymer resins and higher throughputs of PE. Construction of the plant was undertaken on a fast-track basis. The engineering and procurement activities for the plant were completed in 2008. The investment in the project construction was not affected by the economic crisis in 2009. Mechanical completion of the plant systems was achieved by the end of 2009. The extruder unit of the plant was commissioned and trial runs were conducted during the period. The PKN Orlen and LyondellBasell joint venture Hostalen HDPE plant in Poland was used as a reference for designing the new plant. It is designed to meet the requirements of Bavarian, European and German laws and standards in the Münchsmünster industrial area. The plant site also meets the various local authority interfaces. The engineering, procurement and construction contract for the Lyondellbasell Münchsmünster HDPE plant was awarded to Maire Tecnimont. The value of the lump-sum contract to design, build and supply the plant was €200m.